Like the champagne and beer that was doused inside the visitor’s clubhouse at Yankee Stadium, the Yankees’ plans of securing an AL East title in 2018 were put on ice Thursday night, as the 104-win Boston Red Sox clinched their third consecutive division banner via an 11-6 win in the Bronx. The celebration and ceremony was inevitable — Boston’s four-game sweep over the Yankees at Fenway Park in early August, which marked their first place lead at a commanding 9.5 games seven weeks ago, reaffirmed that only the Red Sox had the speed and stamina to cross the finish line first. Despite the Yankees’ strengths, their shortcomings were accentuated. Boston’s prowess was patent. The writing was on the wall for quite some time. What the Yankees didn’t anticipate last month, however, was the slight sting of witnessing the Red Sox cap off a historic regular season campaign on their home turf. In fact, it had been 14 years since Boston last celebrated a postseason accomplishment by winning before a dejected Yankee Stadium crowd (Game 7 of the 2004 ALCS). But this is where the Yankees were destined to stand in September, and entering Friday, their focus will shift toward preserving a 1.5-game lead over the Oakland Athletics for home field advantage in the AL Wild Card game on October 3. So, which starting pitcher should the Yankees appoint for the one-game playoff? That’s the million dollar question. In a recent poll of 2,449 Bronx Pinstripes subscribers on Twitter, 52-percent voted for Masahiro Tanaka, while 35-percent voted for J.A. Happ and 13-percent voted for Luis Severino. 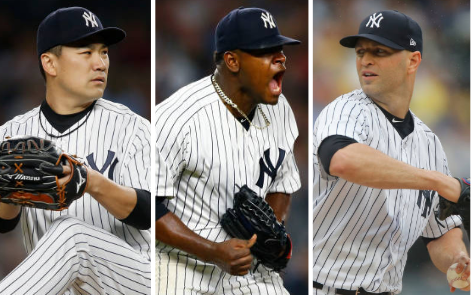 Within the past week, Yankees’ manager Aaron Boone and his staff have dropped a few hints as to which starter could take the mound in two weeks. But what matters the most in a decision like this? How much weight should be placed on recent performance, versus postseason experience and history? There are several factors that need to be taken into consideration. Fortunately for the Yankees, they have options. Three, to be exact. Entering Thursday, Masahiro Tanaka had been the Yankees’ most reliable starter since the All-Star break. His second-half ERA sat at 2.09, and he had allowed just one run in his previous 21 innings of work. Last October, Tanaka went on a similar run, allowing two runs in 20 total innings (three starts) during the ALDS against the Cleveland Indians and ALCS against the Houston Astros. Tanaka was undoubtedly the backbone, the mainstay. However, he encountered a roadblock on Thursday, as he failed to make it out of the fifth inning (allowed five runs on eight hits) in the Yankees’ 11-6 loss to Boston. Did this poor outing hurt Tanaka’s chances of starting the wild card game? The answer is no, according to Boone. Although Tanaka’s regular season mood swings have been underlined, he’s earned the reputation as a big-time pitcher in a postseason setting. In two of his October outings last year — one with the Yankees trailing 2-0 to the Indians and one tied 2-2 with the Astros — Tanaka tossed seven shutout innings at Yankee Stadium. And don’t forget Tanaka has experience pitching in the wild card game, too. Granted, he wasn’t his sharpest against Houston back in 2015 (5 IP, 4 H, 2 ER, 3 BB, 3 SO, L), but Tanaka can grasp the moment. He can rise to the occasion. The numbers and highlights are proof. Tanaka should also be considered if the wild card game is played in Oakland. In seven road starts this season, Tanaka owns a 7-0 record, 3.31 ERA, and 0.94 WHIP. The way the Yankees’ rotation is currently aligned, Tanaka would have to pitch the game on short rest. If this isn’t an issue to Boone or Tanaka, more of a reason to consider him for this must-win game. Was Tanaka’s start on Thursday a simple hiccup, or an omen? Wouldn’t lean toward the latter. Where would the Yankees be without J.A. Happ? Since the 35-year-old southpaw came over in a trade with the Toronto Blue Jays back on July 26, Happ has been nothing short of dominant in pinstripes. In nine starts with the Yankees, he’s 6-0 with a 2.39 ERA, 1.03 WHIP, and 184 ERA-plus. It’s also worth noting he hasn’t lost a start at Yankee Stadium since 2014. Happ is always calm, cool, and collected on the mound. He’s consistent, unflappable, less prone to sporadic performances. And those are valuable traits to have in a winner-take-all, loser-go-home scenario. Those traits cater to the Yankees’ needs. But is Happ better suited for two starts against the Red Sox in the ALDS than one start against the Athletics? The numbers suggest so. In three starts against Boston this season, Happ owns a 0.54 ERA (16.2 IP, ER, 22 SO). His most recent appearance came on Tuesday, and in six innings, Happ allowed four hits and struck out six en route to a no-decision. In 20 career games (19 starts) against the Red Sox, Happ is 7-4 with a 2.82 ERA and .225 batting average-against. 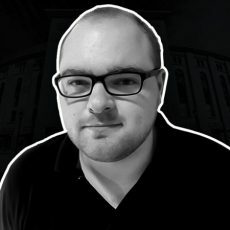 So, if the Yankees beat the Athletics, wouldn’t it make sense for Happ to pitch at least one game against Boston in the ALDS? Start Game 1 at Fenway Park, and potentially Game 4 at Yankee Stadium? This argument holds up. On the flip side, the Yankees can’t ignore Happ’s history against the Athletics. Earlier this month, Happ completed six innings of one-run, two-hit ball at Oakland Coliseum. Overall, Happ is 4-1 with a 3.47 ERA in 11 career games against the Athletics. Happ has appeared in 10 postseason games since 2007. He started in two games (one ALDS, one ALCS) for Toronto back in 2016. And if rotation alignment means anything at the moment, Happ’s slated to pitch on normal rest on October 3. That’s something to pay attention to. What a tale of two halves it’s been for the Yankees’ troubled ace. In Luis Severino’s first 18 starts, he went 16-2 with a 1.98 ERA, and he was a midseason All-Star and front runner for Cy Young honors. But through early July, Severino had posted a 3-6 record and bloated 5.72 ERA (43 earned runs across 58 innings) entering his start against Boston on Wednesday. Fortunately for Severino and the Yankees, he’s re-entered the wild card conversation. On Wednesday, he allowed just one run in seven innings against the Red Sox, recording his career-high 18th win of the year. Severino became the first Yankees pitcher since CC Sabathia in 2011 to reach 18 or more wins in a season. Although he ran into an early first-inning jam, Severino found command rather quickly, which was an encouraging sign. His old confidence and poise returned. It was a far cry from Severino’s September 6th outing in Oakland, when communication trouble with catcher Gary Sanchez resulted in two passed balls and two wild pitches in the very first inning. Severino has expressed his desire to pitch under the bright lights on several occasions. And through his ups and downs, through the thick and thin, Boone has stood by Severino. Although Tanaka and Happ have pitched better in the second half, there’s no question that Severino is the x-factor here. If he can return to old form, it would give the Yankees a huge edge against any opponent. The Yankees hope Severino will be the ace of their rotation for years and years to come. He definitely has the makeup and arsenal to live up to the franchise’s expectations. But how would Severino react toward Tanaka or Happ starting the wild card game? Would it alter his self-confidence? Regardless, Severino’s next two starts will truly determine if he’s fit to pitch this game for a second straight season. And remember: Severino only recorded one out against the Twins at Yankee Stadium last year (he also allowed three runs and four hits). The Yankees were forced to implement the “Opener” strategy very early on, and not by choice. Could the Yankees survive one game with 26 outs recorded by the bullpen again? Sure, it’s possible. They’re well-equipped to face that challenge, should it arise. But the Yankees haven’t really passed the “Bullpenning” tests this season. They want length from their starters, and Severino is no exception. So, if the Yankees pass on Severino for the wild card, it’s not like he was never given a chance. Again, these final two regular season starts mean everything to Severino. A lot is on the line. So… who gets the ball? Based on Tanaka’s past success in October and Happ’s long-established reliability against the Red Sox, it might make the most sense for Tanaka to start the wild card game against the Athletics. This would allow Happ to pitch twice against Boston in the ALDS, should the Yankees advance.